The updated Nissan Leaf EV features a revamped, kind of boring look and an interesting emphasis on the electric car driving experience. But the forthcoming long-range trim—dubbed the Leaf E-Plus—should make it a tad more exciting, with a new report saying it’ll have a total output of 200 horsepower, making it a solid competitor with Chevy’s Bolt and the Tesla Model 3. Over the weekend, Nissan’s director of EV marketing and sales strategy, Brian Maragano, told AutoGuide that the new Lea E-Plus will have 200 HP, putting it in line with the Bolt and within an earshot of the Model 3. Maragno said the larger battery Leaf will receive the ‘E-Plus’ badge and will get a boost in power over the 40 kWh version. 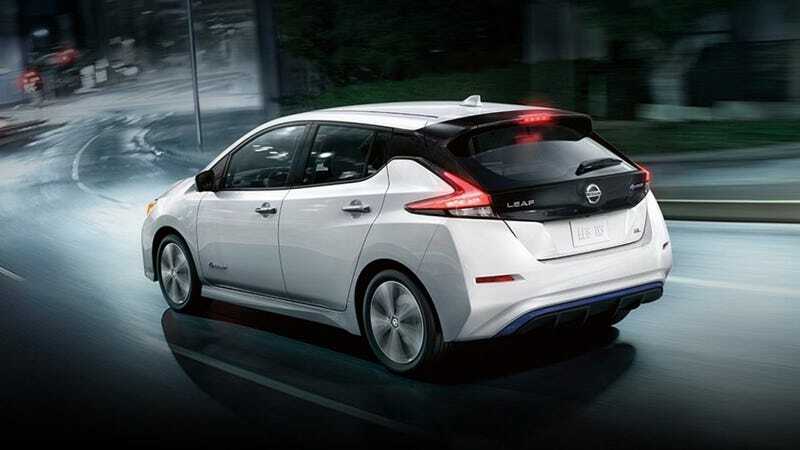 The 40 kWh Leaf is rated at 142 hp, but the long-range model will have 200 hp on tap. Maragno said the larger battery simply made it possible to have more power, as the more robust motor would drain the smaller battery at a quicker rate. “When you have a bigger battery, with more capacity, it just opens up the door to be able to have more output,” he said. Couple with the 225 mile range that’s reported for the Leaf E-Plus, Nissan’s entry into the market crafted by the Bolt and the Model 3 will be well-worth following in the coming months. The Japanese automaker has sold more than 320,000 Leafs since the car first debuted in 2010, so while it doesn’t have the hype and reservation list seen with the Model 3, it has a reputation for delivering electric vehicles stand out.